It’s a new year and Veganuary is upon us - the time for those who have been flirting with the idea of plant-based eating to push themselves to give it a go. Contrary to popular belief, eating a a plant-based diet is quite simple, fulfilling, and delicious. Here are some of the best staples to help with your transition. Nutritious, unbleached, whole grains should be the basis for most of your meals for a healthy dose of fiber and complex carbohydrates. Brown rice, rolled oats, and corn may already be staples in your diet, yet have you tried bulgur, millet, or freekah? Spelt, teff, and wild rice are also nice, nutty alternatives to your usual pilafs. Pseudo-grains such as buckwheat, amaranth, and quinoa (a complete protein) add a great nutritional punch to meals as well. Grains do not need to be limited to the bottom layer of your stir-fries either – try quinoa porridge in the morning instead of oats or pop amaranth on the stovetop and sprinkle this crunchy topping on your (soy, coconut, or almond) yogurt for a snack. The perfect food for busy people, smoothies are fabulous for injecting your system with fresh fruits and vegetables. Even better, all of your ingredients can be stored in the freezer, which can save on grocery store trips. Whether you are whipping up a chlorophyll-packed green smoothie for breakfast or a bowl of cherry-chocolate “nice cream” for dessert, smoothies are pure perfection. Beans, beans, the magical fruit. Even though the playground saying may be true, did you know that passing gas means your gut bacteria are well-fed? 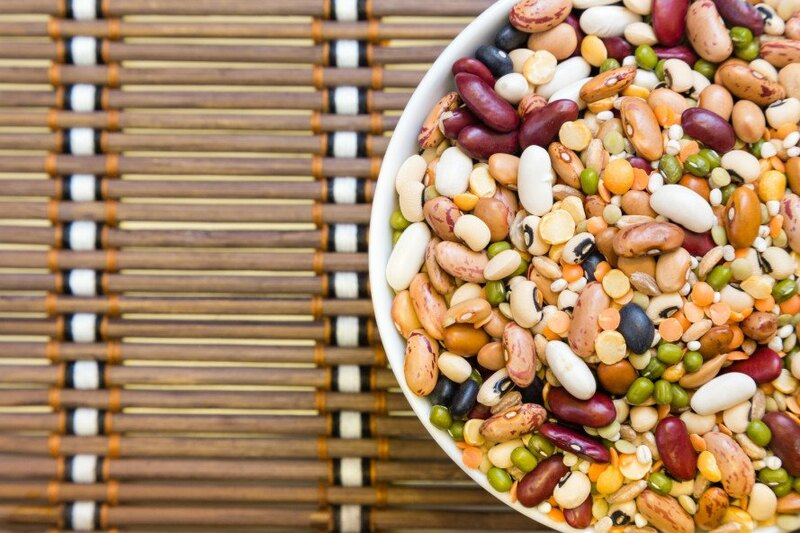 Adding beans to your diet means you are adding plenty of protein, fiber, and energy-boosting carbohydrates to your system. If you are not used to eating them, there can be some, er, growing pains, yet adding them super-slowly – as in, start with one tablespoon per day – can allow your system to become acclimated. There are also ways to reduce the bloat by soaking beans or cooking them with different kinds of seaweed. Burritos, bowls, casseroles, tacos, dips, spreads, soups, stews, salads, even chocolate cake… beans belong everywhere. If you are used to the typical Standard American Diet foods, switching to whole plant foods may be a shock to your routine. Luckily, there are plenty of ways to recreate your favorite flavors and textures without animal products. If you enjoyed pulled pork sandwiches, try cooking up some jackfruit in your favorite sauce, which can be found in cans in most Asian supermarkets. 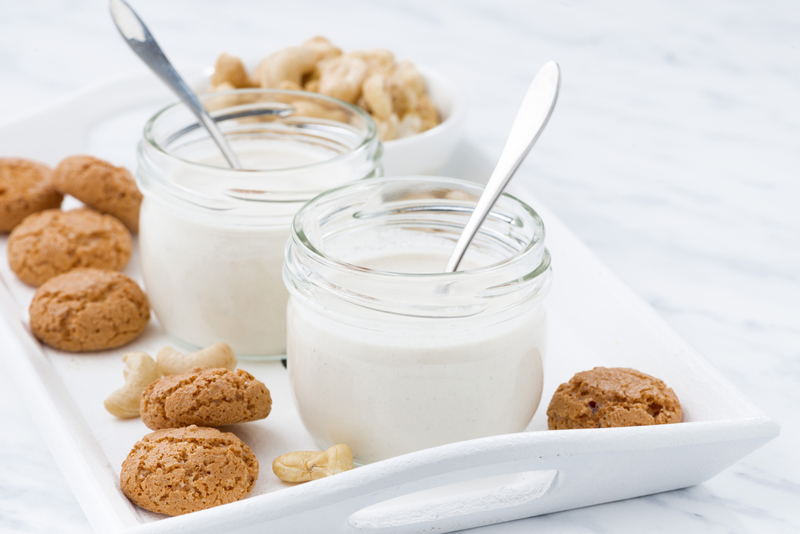 Soaked cashews can be blended with water or almond milk to create the most delectable cashew cream for Alfredo sauces, dips, or desserts. Mashed lentils or textured vegetable protein (TVP), found in bulk bins, can be reconstituted in water and make top-notch sloppy joes, meaty marinara sauces, or toothsome chili additions. The newest plant-based fad is using aquafaba, or chickpea brine straight from a can, as an egg replacer in baked goods. Having enough healthy fats in one’s diet is key to staying satiated. While keeping oils within moderation is important, there are plenty of other ways to satisfy that craving for creamy, fatty foods. 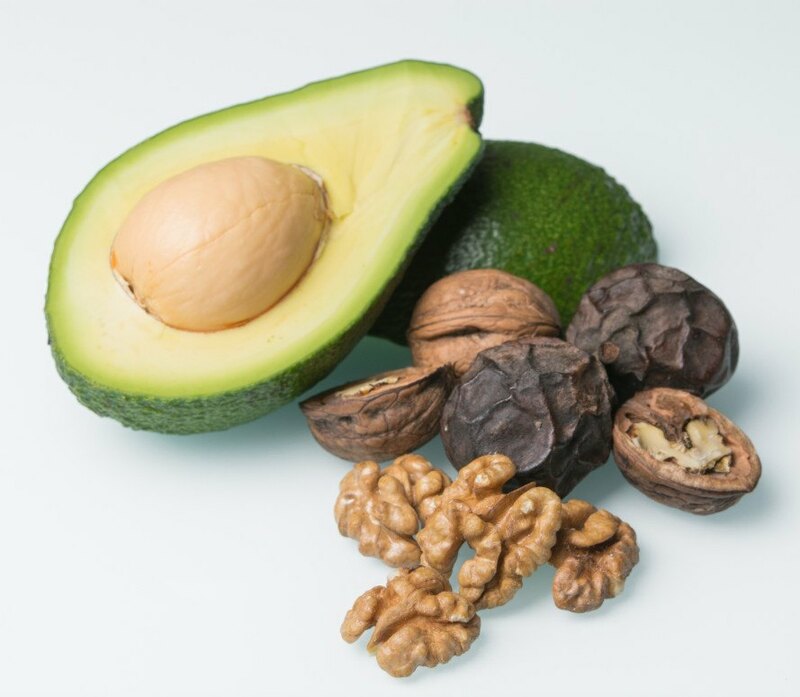 Avocado can be eaten plain (although I’d recommend a sprinkle of salt and pepper), in guacamole, whizzed into a healthy chocolate pudding, chopped in a salad, or beautifully sliced in a wrap. Seeds and seed butters are delicious additions to your favorite foods, whether sprinkled on top of a meal or mixed into hummus, no-bake energy bars, or a vibrant lemon-tahini dressing. And, who could forget nuts as a nutritious fat source? Snacking on almonds, walnuts, and Brazil nuts will fulfill your Omega-3 and magnesium needs and keep you away from empty-calorie processed foods. The most important part of transitioning your diet to something more filling and fulfilling is making it easy. Be realistic with the amount of time you have to prepare meals for yourself each day. If you are like most folks, you probably are limited in this area and so finding shortcuts is key. Making a large casserole or batch of soup for the week is one way to accomplish this, yet spending a few minutes in the evening can set you up for fresh and nutrient-packed breakfasts and lunches the following day. 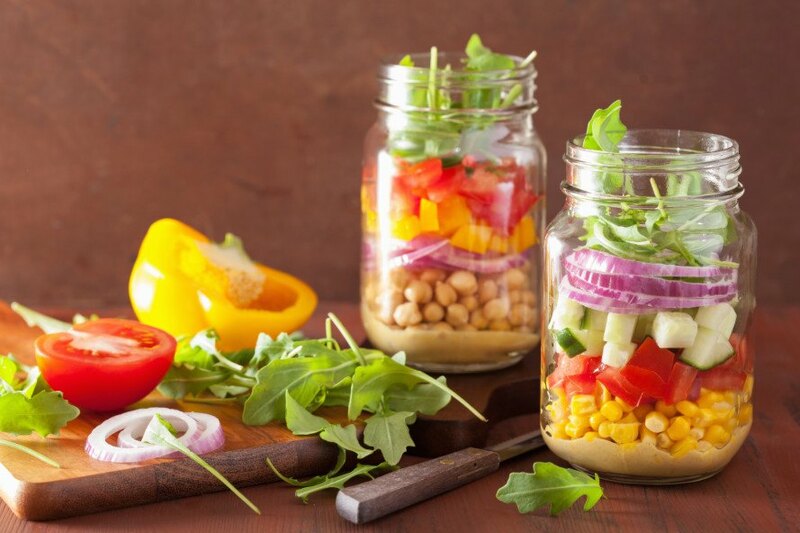 Prepping overnight oats, mason jar salads, and even noodles and other satisfying meals in jars are excellent ways to ensure a successful transition to a plant-based diet. 1. Whole grains Nutritious, unbleached, whole grains should be the basis for most of your meals for a healthy dose of fiber and complex carbohydrates. Brown rice, rolled oats, and corn may already be staples in your diet, yet have you tried bulgur, millet, or freekah? Spelt, teff, and wild rice are also nice, nutty alternatives to your usual pilafs. 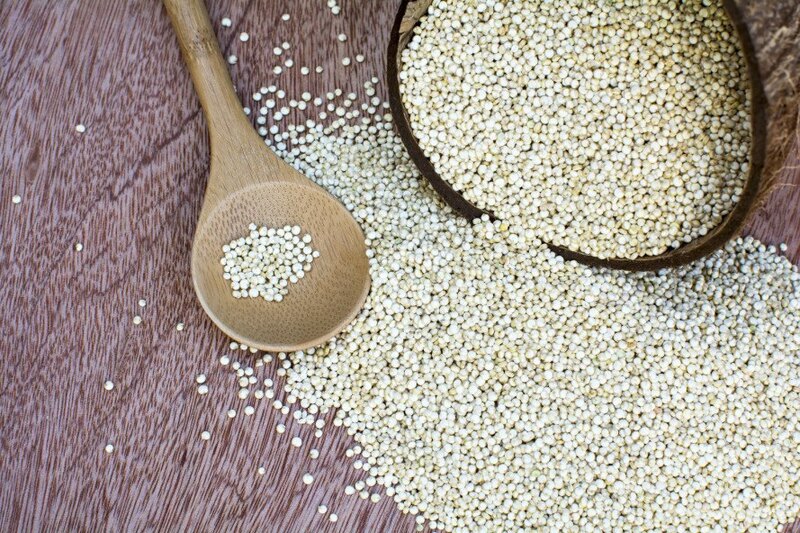 Pseudo-grains such as buckwheat, amaranth, and quinoa (a complete protein) add a great nutritional punch to meals as well. Grains do not need to be limited to the bottom layer of your stir-fries either - try quinoa porridge in the morning instead of oats or pop amaranth on the stovetop and sprinkle this crunchy topping on your (soy, coconut, or almond) yogurt for a snack! 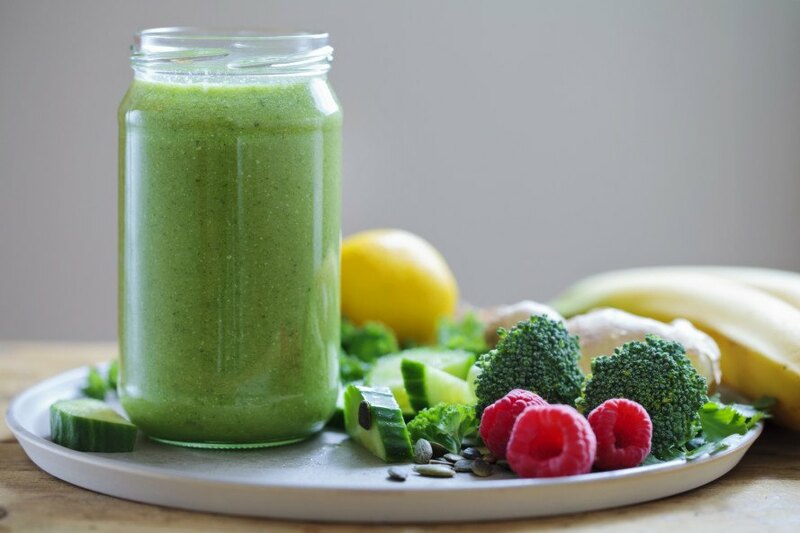 The perfect food for busy people, smoothies are fabulous ways to inject your system with fresh fruits and vegetables. Even better, all of your ingredients can be stored in the freezer - which can save on grocery store trips. Whether you are packing a chlorophyll-packed green smoothie as a breakfast or whipping up a bowl of cherry-chocolate “nice cream” for dessert, smoothies are pure perfection. Beans, beans, the magical fruit. Even though the playground saying may be true, did you know that passing gas means your gut bacteria are well-fed? Adding beans to your diet means you are adding plenty of protein, fiber, and energy-boosting carbohydrates to your system. If you are not used to eating them, there can be some, er, growing pains, yet adding them super-slowly - as in, start with one tablespoon per day - can allow your system to become acclimated. There are also ways to reduce the bloat by soaking beans or cooking them with different kinds of seaweed. Burritos, bowls, casseroles, tacos, dips, spreads, soups, stews, salads, even chocolate cake… beans belong everywhere! If you are used to the typical Standard American Diet foods, switching to whole plant foods may be a shock to your routine. Luckily, there are plenty of ways to recreate your favorite flavors and textures without animal products. If you enjoyed pulled pork sandwiches, try cooking up some jackfruit in your favorite sauce, which can be found in cans in most Asian supermarkets. Soaked cashews can be blended with water or almond milk to create the most delectable cashew cream for Alfredo sauces, dips, or desserts. Mashed lentils or textured vegetable protein (TVP), found in bulk bins, can be reconstituted in water and make top-notch sloppy joes, meaty marinara sauces, or toothsome chili additions. The newest plant-based fad is using aquafaba, or chickpea brine straight from a can, as an egg replacer in baked goods! The most important part of transitioning your diet to something more filling and fulfilling is making it easy. Be realistic with the amount of time you have to prepare meals for yourself each day. If you are like most folks, you probably are limited in this area and so finding shortcuts is key. Making a large casserole or batch of soup for the week is one way to accomplish this, yet spending a few minutes in the evening can set you up for fresh and nutrient-packed breakfasts and lunches the following day. Prepping overnight oats, mason jar salads, and even noodles and other satisfying meals in jars are excellent ways to ensure your success with sticking to your plant-based resolution.